In 1891, Mr. Siskeron came to Glenwood and made a proposition that he would build a modern flourmill, if the local businessmen would donate a site and give him a $2000 bonus. They did, and he built the mill, which began operation in December of 1891. Siskerson, took his bonus and sold the mill within 2 months. It was sold several times in quick succession until it was sold to Snyder and Serrin. 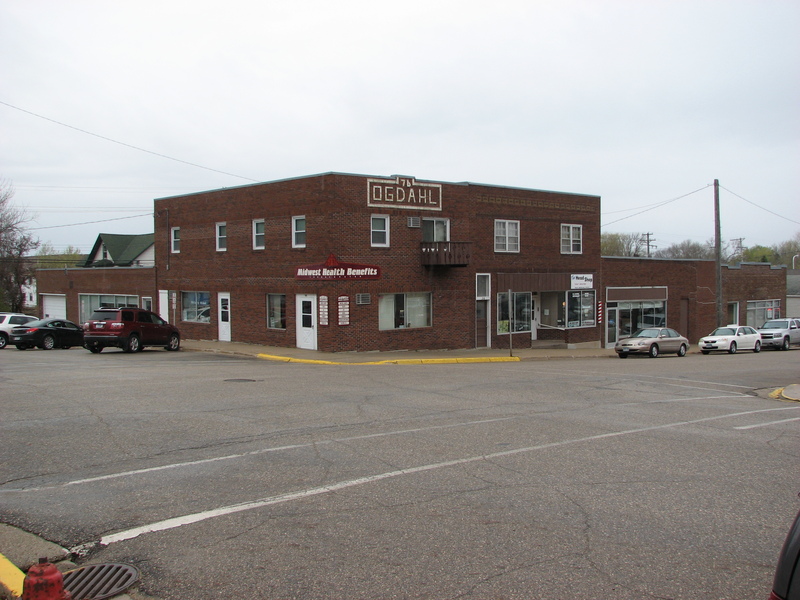 Both were experienced millers, having worked for Pillsbury in Minneapolis. John Serrin gave the mill and overhauling and was a great success. In 1896, Serrin entered the electrical business in addition to milling. He purchased and installed a 73 horsepower steam engine and dynamo. Steam was piped underground to many downtown buildings to provide heat in the winter. He ran both the power plant and the mill until he sold the flour milling equipment in 1908. Wheat rust, farm diversification and competition from larger mills, led to the closing of the flour mill. The feed mill remained in operation under several different owners/operators until 1976 when it was razed and a new office/apartment building was constructed in its place. The power plant was in operation until at least the early 1950s when new diesel generators were installed on Soo Hill. The first mill in Glenwood stood on the hill just east of Franklin Street and operated from before 1870-1887 when low water power closed it down. From 1875-1888, the Lake Amelia Mill, three miles east of Glenwood was the reliable place to bring your wheat. It could produce up to 25 barrels of flour per day. Prior to the mills, early settlers were required to travel to St. Cloud, usually on foot to have their wheat ground. Local mills not only allowed farmers to convert wheat for their own use, but provided a local market for their wheat. The mills, along with the coming of the railroad in 1882, marked the transition from subsistence/semi-subsistence farming, to a cash crop system in which wheat was king. View of Glenwood before the mill was constructed. 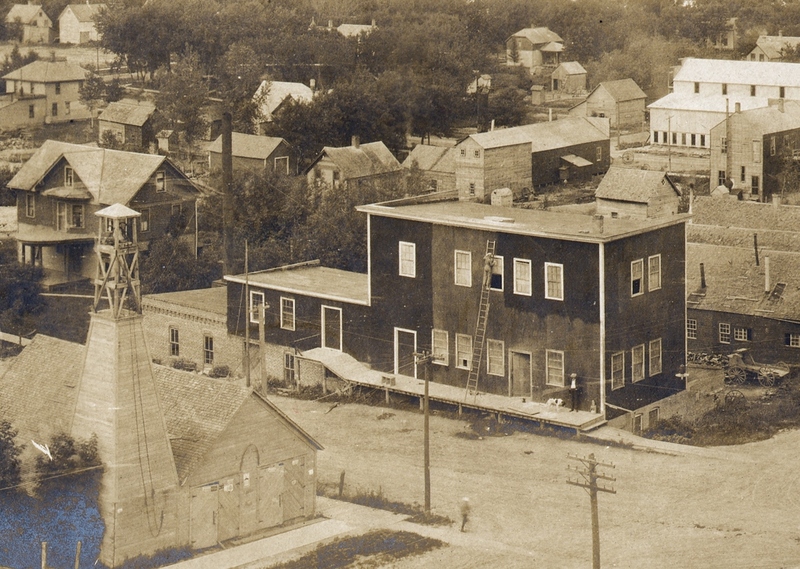 This entry was posted in Local History and tagged Glenwood 150, Glenwood Feed Mill, Glenwood Four Mill, Glenwood Power plant, Pope County Historical Society, Pope County History, Pope County Minnesota, Walking Tour. Bookmark the permalink. MANY BLDGS DOWNTOWN HAD THIS STEAM HEAT. COST WAS REAL CHEAP. OWNERS DID NOT NEED A HEATING PLANT IN THEIR BLDG.